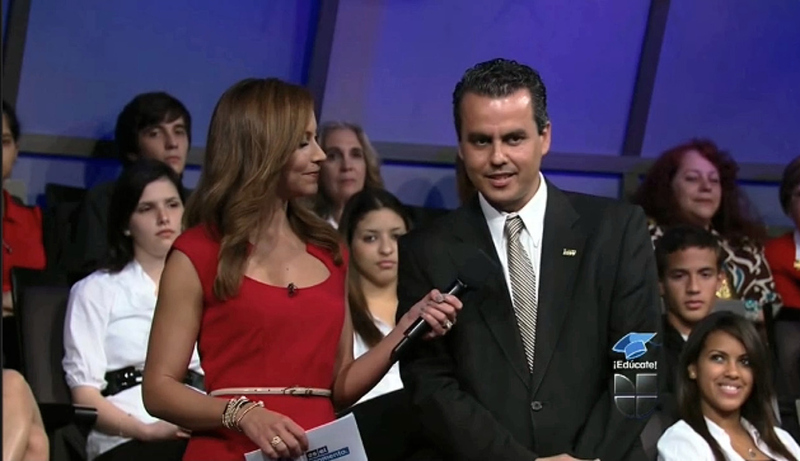 Roberto Rovira participated in Univision’s “Es el Momento” (The Moment is Now) television program as one of eight audience members selected to ask questions from panelists that included California Congressman Mike Honda, Deputy Superintendent of Los Angeles Unified School District Jaime Aquino, and Randi Weingarten, President of the American Federation of Teachers. Univision launched the comprehensive, multi-year national education “Es El Momento” initiative in partnership with the Bill & Melinda Gates Foundation, the U.S. Department of Education, educators and civic and community leaders from around the country. The Es El Momento initiative is aimed at improving academic achievement among K-12 Hispanic students with a specific focus on high school graduation and college readiness.